Me and my wife were in desperate need for more living space in our home. 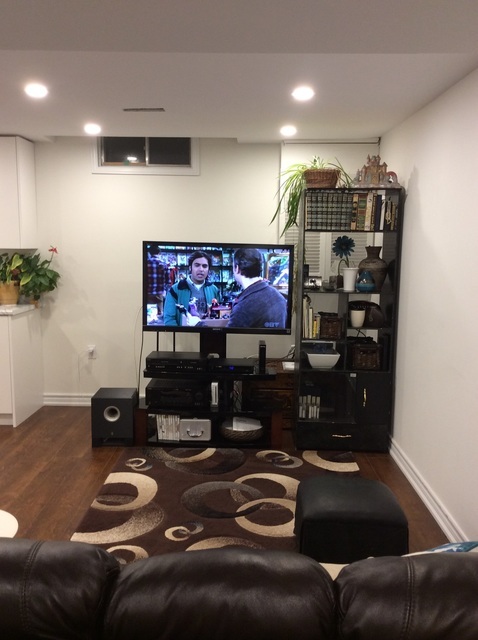 With a growing family we were quickly realizing that without renovating our basement our house would be too cramped to hold gatherings and entertain the way we usually do. 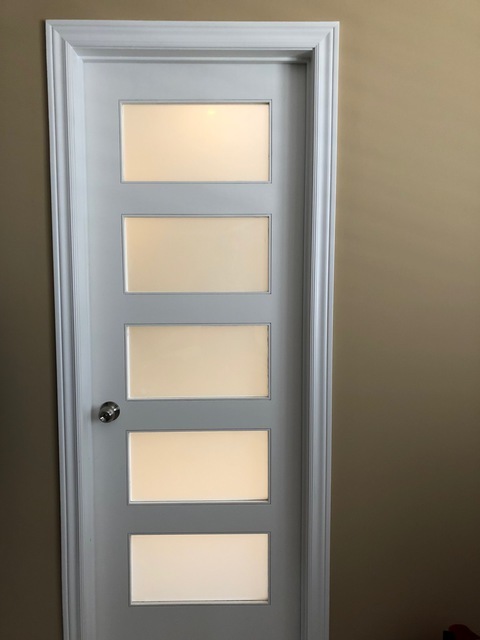 After interviewing and getting quotes from several different contractors MO and RONNIE from York General Contractor emerged as the only company who promised to deliver. They were willing to work with us to create a stunning floor plan and outlined quality materials in their contract. 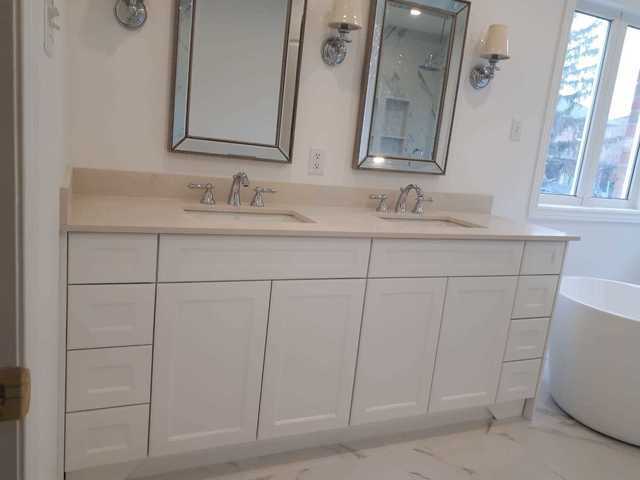 Consider York General Contractor for any work you need done. They strike the perfect balance between price, quality and creativity. Hello Sol, it was our pleasure helping you to create spaces you all have joy and raise your wonderful family. We were very satisfied with the work. A clear, detailed estimate was followed by on time, good quality, conscientious work. At the same time they have a good sense of humour and know how to get along with the client on a personal level. We recommend York and would use their services again. 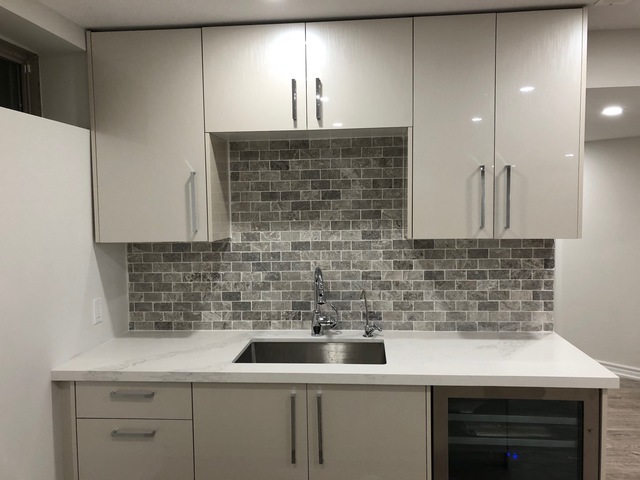 It was our pleasure renewed your counter top and sink so any time you need our services please don't hesitate to contact us. Mo did a spectacular job on my bathroom tile. I needed it done quickly, and they delivered. It was completed exactly as we agreed, on time, with exceptional workmanship. What I love about these guys is they came, looked and gave me a price and date for completion on the spot. I'm not sure why other contractors can't do this for simple jobs. I highly recommend for tile. It is nice hearing your consent of the job finished and thank you so much for great review. 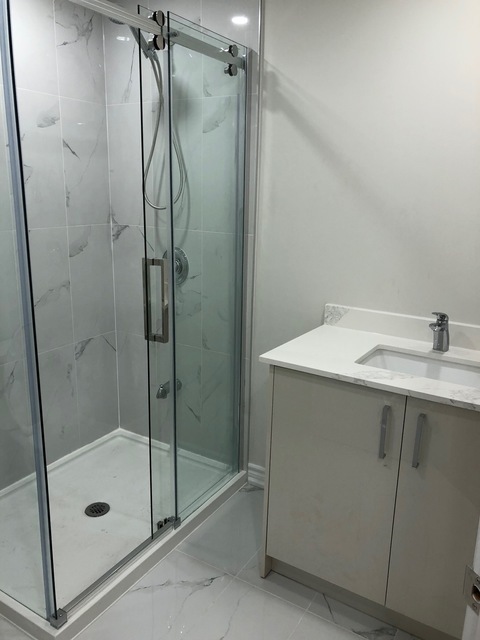 It is our pleasure to work for you again so don't hesitate to give us a call for any project like full kitchen, bathroom and basement renovation. 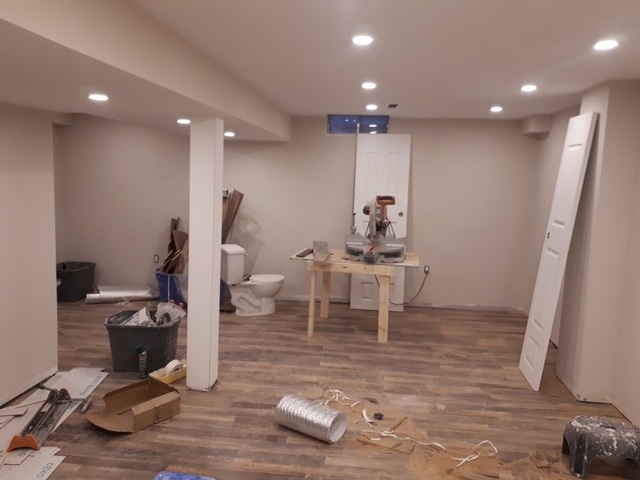 We contracted York General contractors to do a full renovation of 3 bathrooms in our house (master, kids and powder room). 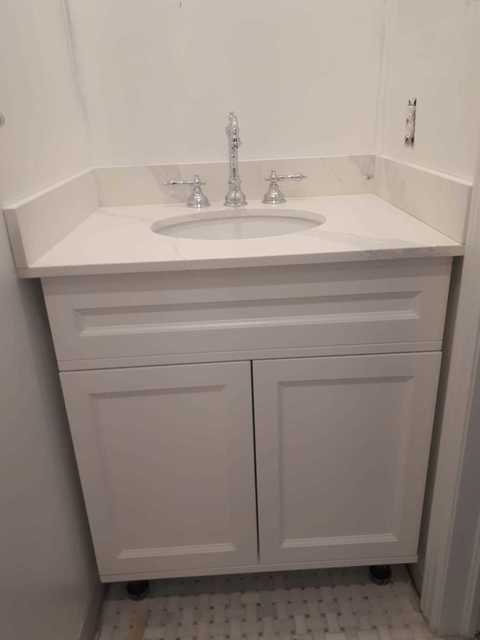 We truly love how the bathrooms turned out! From the very start Ronnie and Moe understood our vision and applied their expertise to give us such a wonderful and outstanding end-result! Thank you for your quality work and for finishing the project on time! 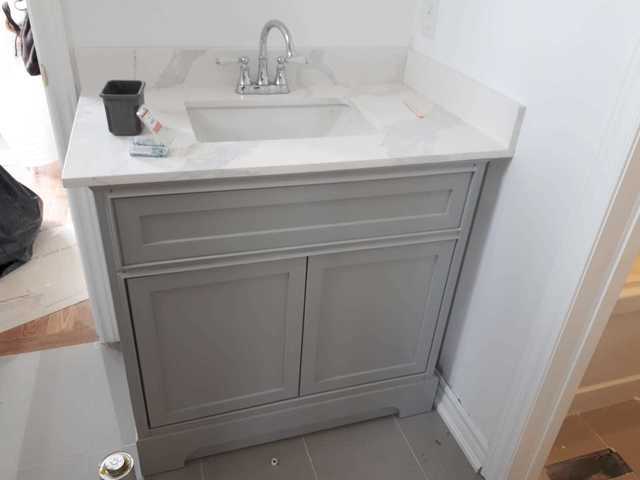 it was really such a pleasent time for our team after seeing your happiness when we delivered your desired design on vanities with quartz counter and under mount sink, custom build shower, bath tub, stand alone tub, flooring, chandelier and wall lights on time. Thank you for your perfect review and hope you all enjoy. Hello, we are so glad hearing you are happy with together specially with grandchildren. whenever you need our help we are a phone call away. 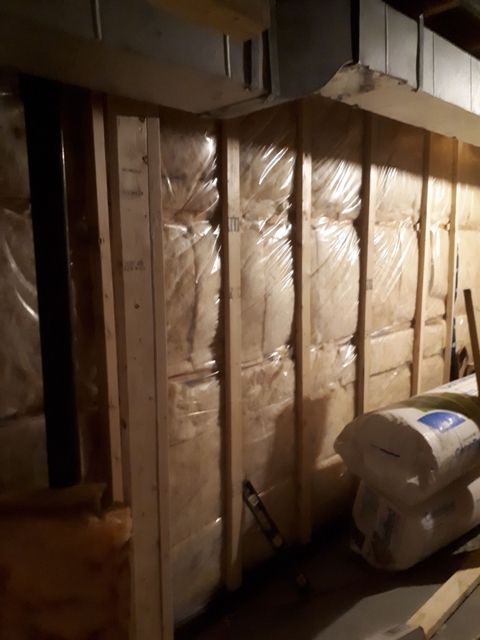 Mo and Ronnie did a terrific job finishing the partially renovated section of our basement that included a laundry/furnace area, bathroom and hall. 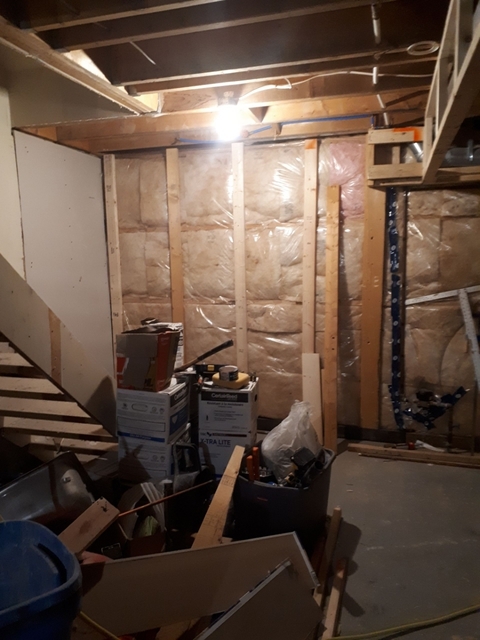 They took out a divided wall/closet we no longer wanted and built another wall to enclose the washer/dryer, furnace and water heater as a separate area with two entrances, so that the rest of the room is now an excellent office space. 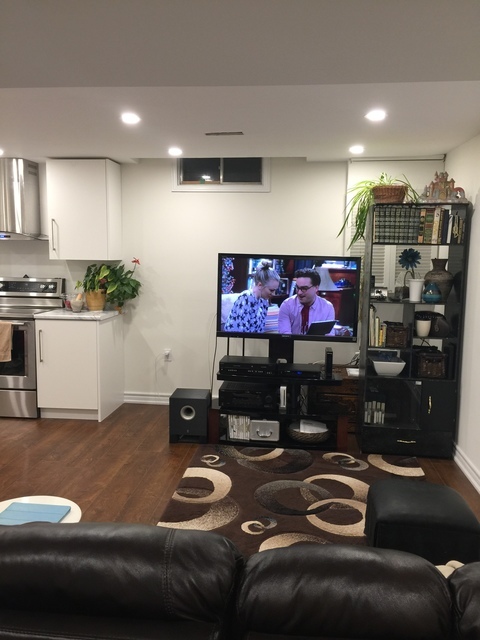 We love the new arrangement of the space, which we did on their advice. 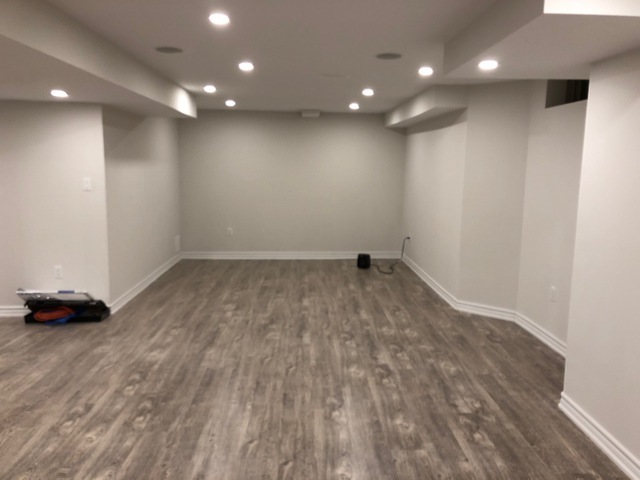 Besides new ceiling, potlights, new drywall as needed, and baseboards, they put in a commercial grade laminate floor we love (and at a very reasonable price). Half of our basement now looks super. 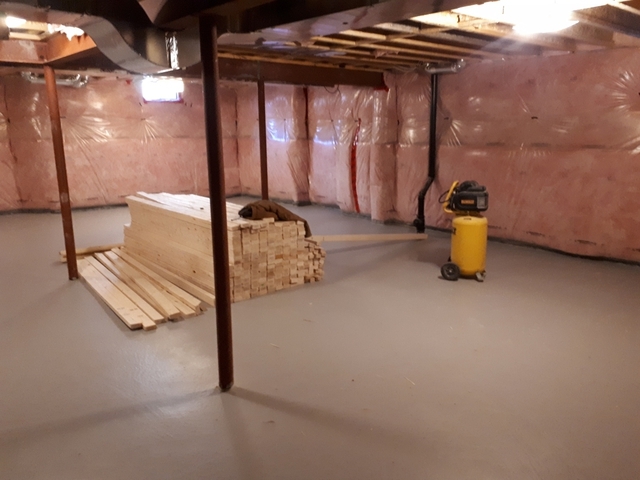 We liked their work so much that we had them go ahead and get us the flooring to complete the other half of the basement (our overcrowded workshop), which we'll have them do as soon as we empty it out. 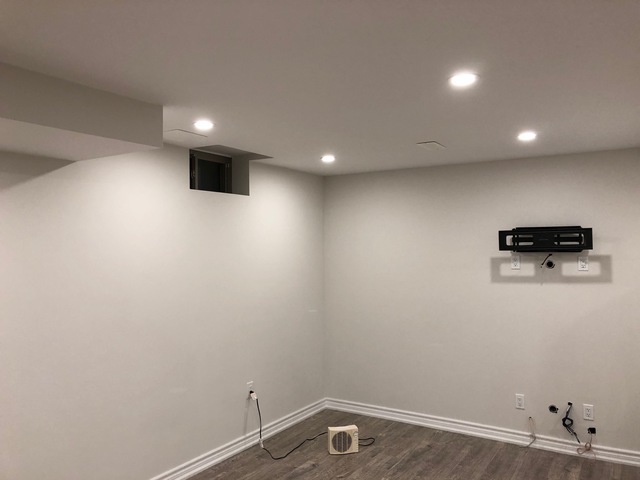 Overall, these two men are extremely professional, a pleasure to work with, and very fast: they completed our job in less time than they had projected and were very reasonable in terms of costs. We will continue to call on them in the future! 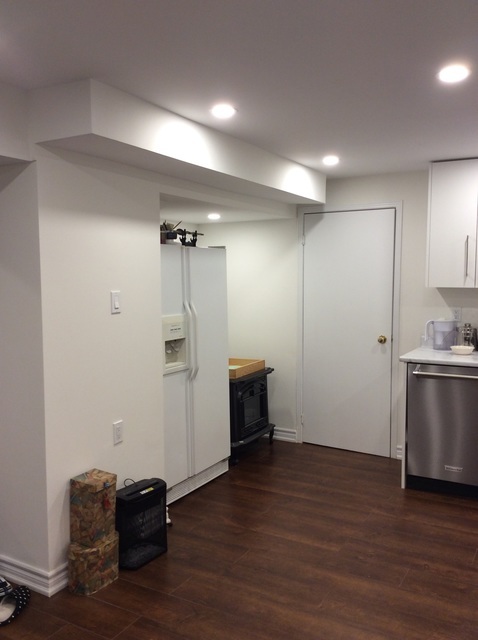 It was a nice experience working in that basement to make it to be lovely space you to use it. Anytime you need us we are a phone call away. 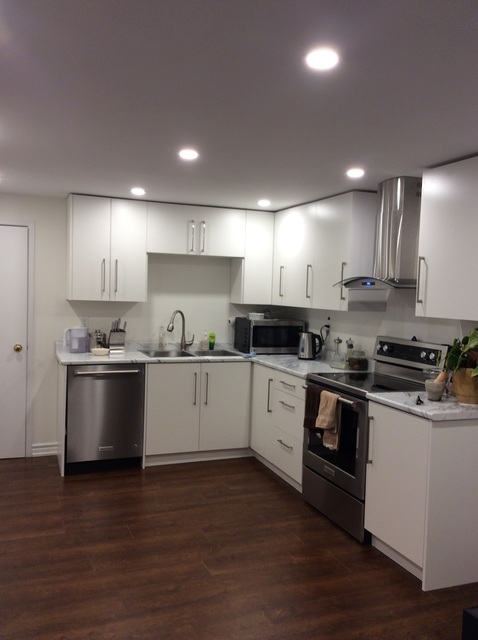 Installation of washer, dryer an dishwasher in basement apartment, including all electrical and plumbing work required. Ronnie and his partner at York Contractor were exceptionally good. Smart, competent, honest and trustworthy. They showed up on time, worked very hard, and completed the job on time, exactly as discussed. Their pricing was fair and reasonable. I was very pleased! 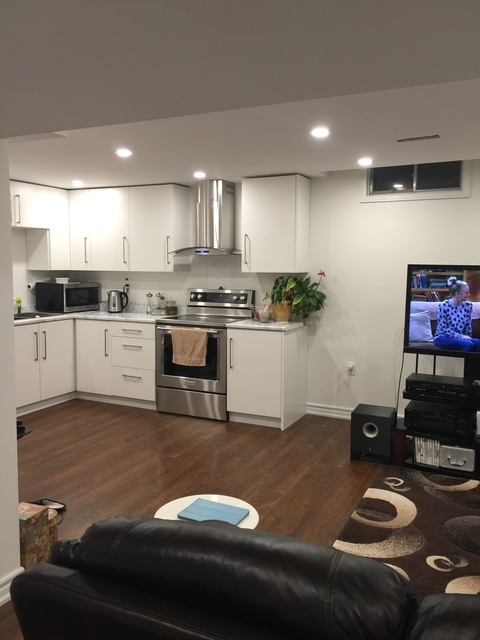 It was one of our pleasent experiences installation all those appliances for you. Again if you need any help we a call away. railing to do as the wall had 2 levels. They did an excellent job. compensation which made us very glad we hired them. Thank you so much for the review. Any time you need our help we are a call away. Ronnie & Mo have been good to work with and obviously knowledgeable since day 1. 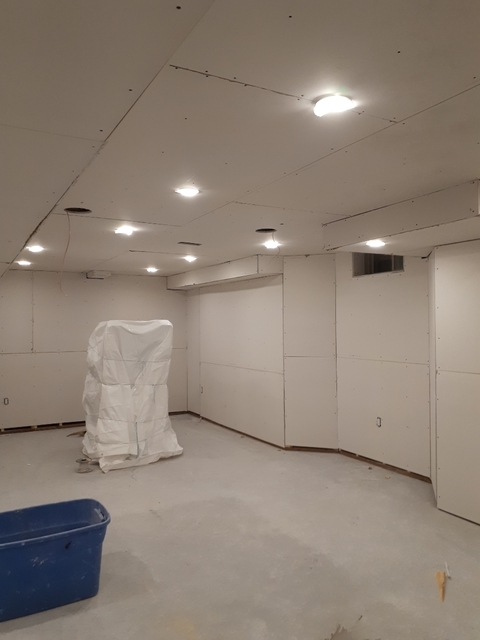 We decided to have our unfinished basement fully renovated (about 1,100 sqft) and also have a couple of side projects done around the house (removal of a couple of non-structural columns, replacement of 2 interior doors with solid wood glass-insert doors, and relocation of some lighting fixtures). 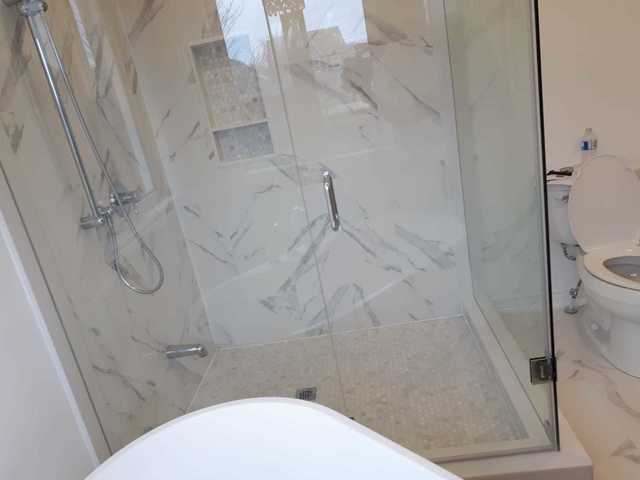 We shortlisted from a large number of providers and although Ronnie & Mo were not to cheapest, they were well reviewed by previous customers and had spent the most time providing detailed quotes, ideas, and responses. General response time via email or texts is within 24 hours, which is quite remarkable on its own. They were good in communicating the status of the project, as well as starting on time, while cleaning up at the end of pretty much each work day. 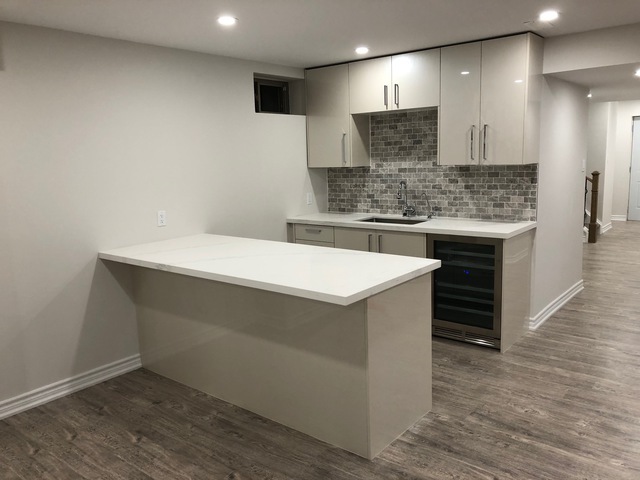 They are also good in providing interim updates which are important as smaller, previously unclarified decisions are often required to be sorted out for large-scale home renovation projects. Workmanship is good, as well as logistics management, so the project completed on time and within the stated budget without compromising quality of work. Smaller details / requests / fixes were all completed as one would expect from an honest, hands-on company. Highly recommended! In fact, I've already recommended them to 2 other customers. Don't hesitate to give these guys a call if you want to have general renovation work done and judge for yourselves. I don't think you would be disappointed. Pictures can't do the work justice but I've attached some any way! Check them out. Thank you kindly for taking your valuable time to leave us a review which is truly important to us. 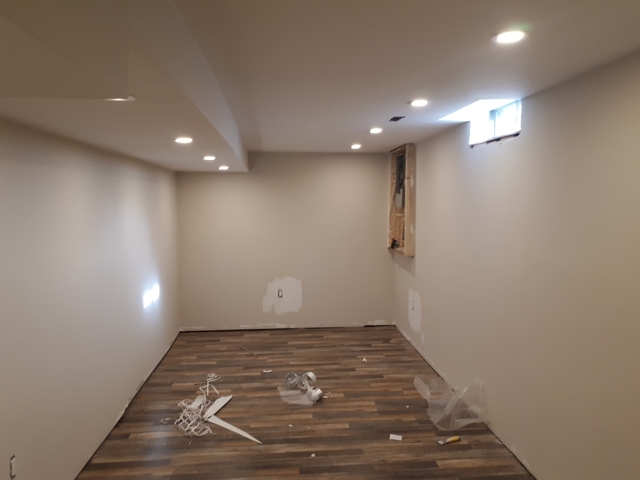 It was really one of our pleasent experiences not only fully finishing your basement as your expectations but removal of those decorative white posts in middle of main floor and repairing hardwood underneath non-distinguishable. We love our loyal and return clients and thank you for all professional referrals. 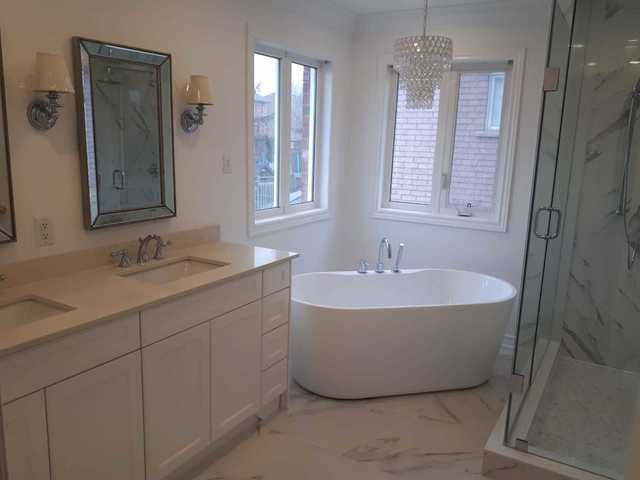 York general contractors are fantastic! 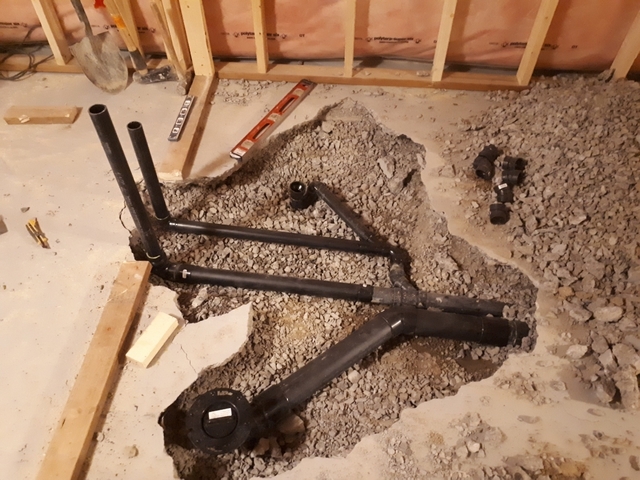 Due to some unusual circumstances, I was in a rush to get my renovation done. They were so accommodating. They started and finished the job as promised. No delays, no waiting for them to start. They are both so sweet, honest and hard working. The job was great and done on time! 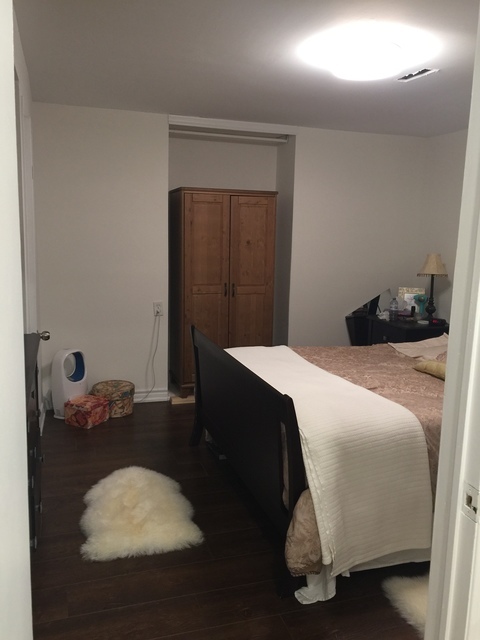 Thank you so much for taking such good care if my house and my renovation! It was our pleasure helping you to reach your timing goals for house renovation. Thank you for your kind consideration and any time you need help we are a call away. 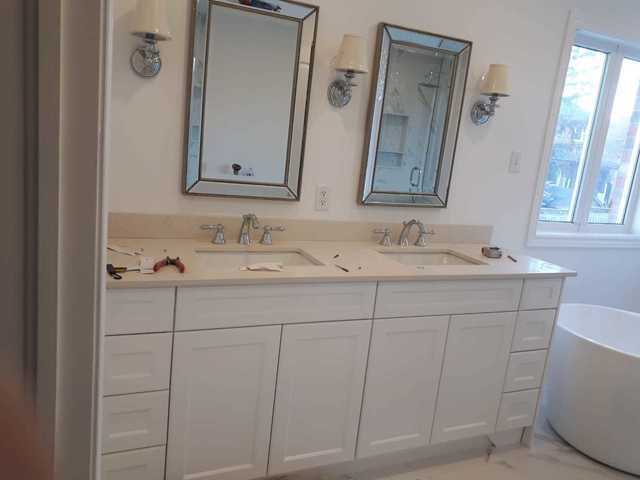 NOW FINANCING for your home renovation projects (home renovation financing) is available. Program with different options - 0% interest rate, Deferred payment. Please contact us for more details and evaluation. 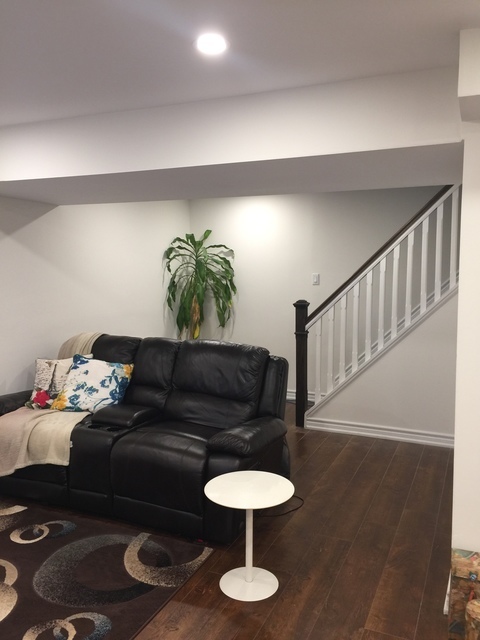 Building or fixing decks, repairing interior or exterior stairs, resurfacing interior stairs with finished oak wood, basement framing, drywall, plaster, paint and recessed light installed. The job can be done with or without material. All electrical and plumbing licences held in good standard and are insured.